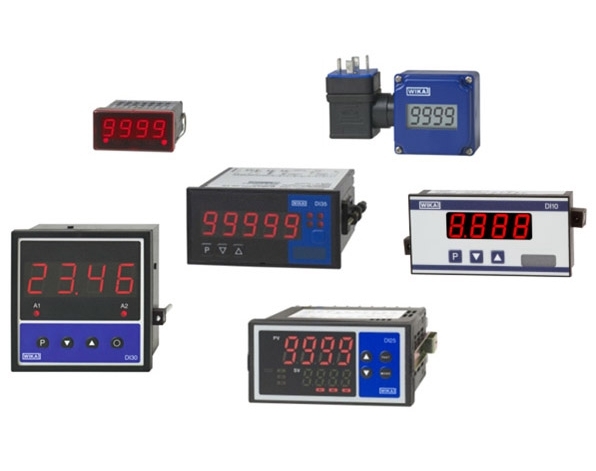 In many electronic pressure measurement applications there is a need to have the measured value displayed on site – either as an additional option alongside the processing of the signal within the control system or as a sole control instrument. Type of mounting: Should the indicator be attached to the transmitter on site, installed in a control panel or mounted in a wall housing or desktop case? Accuracy: How high are the requirements for the indication accuracy? The indicators offered by WIKA have accuracies from 0.3 % to 0.02 %. Available options: Do I need an analogue output signal? Switching outputs for further control? An integrated transmitter supply? Have a look at WIKAs digital indicators.